For businesses, schools, organizations, and local municipalities, a mass texting service makes it quick and easy to reach a large target audience. Because it's rare today for a teen or adult not to have a cell phone with them, a single text message can have astounding reach. In the United States alone, Statista reports that the number of smartphone users are estimated to reach more than 237 million by the end of 2018. Advances in telecommunications in the last five years have provided a whole new level of connectedness for cell phone users worldwide. With text messaging, people can stay connected more easily because they can send and receive messages anytime or anywhere. That’s why in the event of an emergency or critical event, the best way to reach the largest possible audience is text messaging. A traffic accident or roadway construction can create horrendous travel delays. However, when drivers are forewarned about these issues, alternate routes can be selected, helping to decrease congestion and allow commuters to arrive at their destination on time. Local radio and television stations provide regular traffic advisories for their audiences, but with a mass SMS the proper government agency can effectively reach a much wider audience. The Pew Research Center reports that 20% of cellphone users have used their phone to get up-to-the-minute traffic or public transit information. By implementing a mass texting service like Trumpia, media outlets can automatically blast a text to their on-the-go listeners whenever an accident occurs, informing them of the accident location, expected delay time, and detour routes. Intense weather can severely affect airline operations, leaving passengers grounded and waiting for the next available flight. American Airlines is one of many using mass texting to communicate real-time updates of flight delays, cancellations, scheduling, and gate changes directly to their passengers’ phones to avoid travel disruptions. Texting creates the highest visibility for your flight alerts, as 80% of travelers carry a cellphone, allowing passengers to plan ahead and safely find a new flight or place to stay. 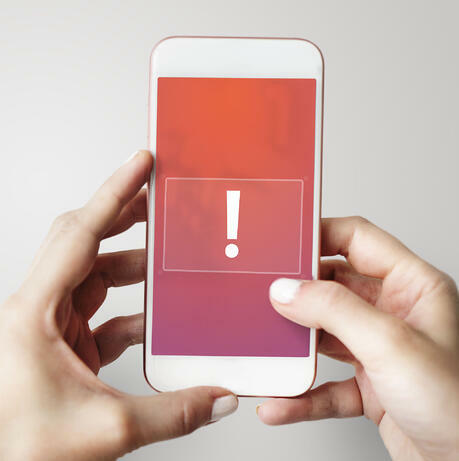 The Federal Emergency Management Agency operates the Wireless Emergency Alert program, a system that uses SMS messages to supplement the existing Emergency Alert System. 881 children have been rescued specifically because of an AMBER Alert. AMBER or (America's Missing: Broadcast Emergency Response) alert system has proven to be effective in assisting law enforcement in rescuing abducted children. As soon as law enforcement determines a child has been abducted and the abduction meets criteria, state transportation officials and broadcasters receive and send out the alert. The traditional AMBER Alert interrupts radio and television broadcasts and appears on Department of Transportation digital highway signs. However, with advances in technology, AMBER Alerts can now be shared via internet search engine, digital billboards, and through any mobile phone. Because texting has a read rate of 91% within 3 minutes, broadcasting across all channels simultaneously will reap the highest visibility for AMBER alerts. Populated organizations need a way of notifying a large audience when an emergency situation occurs. Phone calls are noisy, lengthy, and done one at a time, which is dangerous during potential dangerous situations. A mass texting service enables these organizations to quickly reach their entire target audience simultaneously, which is essential during a life-threatening event. Omni Hotels was able to utilize mass texting to alert their guests during the Dallas police shooting. With Trumpia’s SMS software, they were able to send alerts of the hotel being secured, locations of safe parking, town hall meeting details, and final updates to reassure employees and guests. As a result, they were able to immediately notify all employees and guests, which kept them safe as the crisis progressed. Another way to inform both employees and the public of an emergency is enable your business’ landline texting. That way employees and customers will already be familiar with the number to contact in the event of an emergency situation. When extreme, unexpected, or dangerous weather threatens to hit, bulk SMS alerts can help victims react and quickly find a safe haven. SMS weather alerts enable the public to make an informed decision on whether to travel or not to travel during the threat of bad weather. Hail storms and deadly tornadoes cause millions of dollars in damage and injure many each year. In 2017 alone, 34 people have been killed by tornadoes when caught out in mobile homes and vehicles during a storm. A weather advisory that reaches drivers and their passengers by SMS has the potential get these people to safety before catastrophe hits. Receiving a text alert enables the public to avoid the risk of being caught unprepared during severe weather. Bulk SMS for weather advisories aren't just for radio, television, and news authorities. Colleges, school districts, churches, sports tournaments, and other organizations can take advantage of a mass text service to reach a large target audience when inclement weather threatens. They can send a weather advisory to announce a delayed start time, rescheduling, or cancellation of events to ensure the safety of participants and spectators. Because Trumpia partners with hundreds of domestic and global carriers, an important bulk SMS goes through quickly and reliably. Implementing mass text messaging for sending critical alerts will ensure the target audience is reached. Trumpia offers a unique Yes/No Response feature that is essential for getting a headcount during earthquakes and building fires. Simply send a text asking if they are safe, and if they reply “Yes” record their message and send a response telling them to stay away from the affected area. If they reply “No”, ask for their location to send search and rescue to them. A necessity for both businesses and the public is having running water and electricity. Earthquakes and strong winds can easily destroy power lines, putting an entire community into a blackout. To let the public know that restoring the power is of the utmost importance, send targeted messages to the affected area to inform them of the current outage and the estimate time power will be restored. The public can take proper precautions on whether they need to move their food to avoid spoilage or relocate to an area with electricity to continue working. What good is a critical alert if it’s not sent to the right person? Utilizing collected data, you can smart-target your audience to send critical alerts to only affected individuals and avoid worrying those that are unaffected. For example, if a power outage strikes New York, send an alert to everyone living in ZIP codes: 10001-10292. A text message grabs attention immediately. It's easy to open and read, which is essential during an alert for a critical event. With Trumpia, you can maximize your reach during a critical event by using SMS simultaneously with multiple channels such as email, Facebook/Twitter, and a mobile app. Click here to learn more about how Trumpia can help you send critical alerts. For a limited time, Trumpia is offering complimentary service to non-profits, churches and other organizations providing relief efforts to those affected by Hurricanes Harvey and Irma. Please contact us today to learn more about this special opportunity to those assisting in relief efforts.